Magnetoencephalography (MEG) scans. Scans of the magnetic fields produced by the networks of electrical currents in the neurones of the brain. 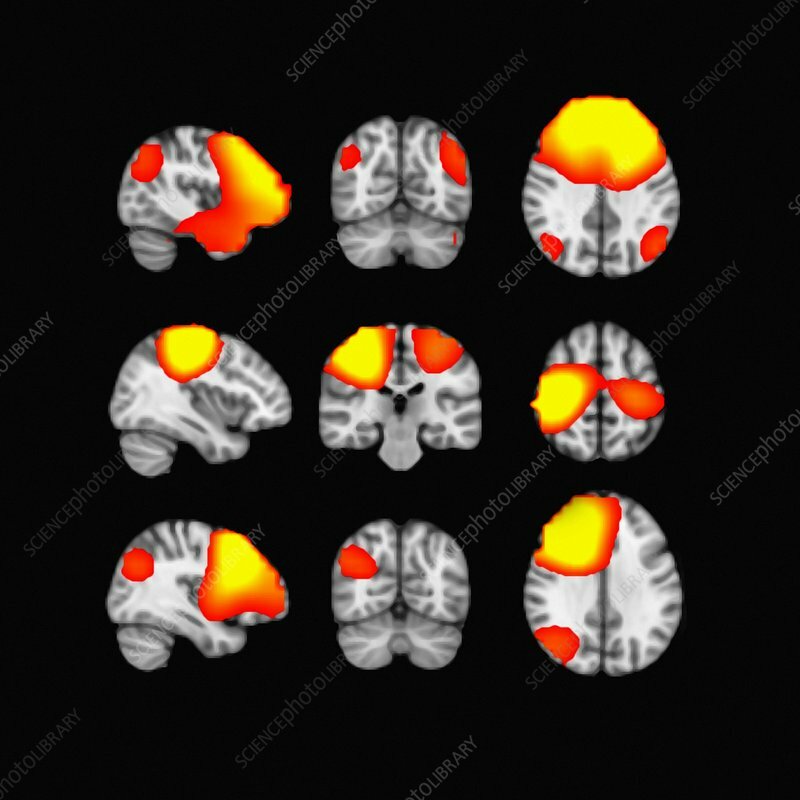 The top row of scans show the network involved when the brain is in a resting state. This network is only found at rest and disappears when the subject is given a task. The 'default-mode' network and its connection to various neurological diseases and disorders is currently being intensively researched. The second row is of the sensorimotor network, which appears when the subject performs motor tasks such as tapping their fingers. The bottom row is of the right lateral frontoparietal network. The MEG scanner images the magnetic fields produced by the electrical currents resulting from neuronal activity within the brain and the gradient of activity is from areas of low (red) to high (yellow).